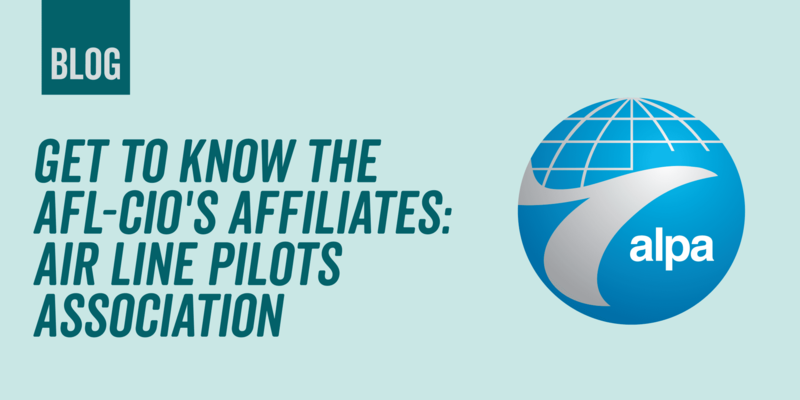 Next up in our series of taking a deeper look at each of the AFL-CIO’s unions is the Air Line Pilots Association (ALPA). The series will run weekly until we’ve covered all 55 affiliates. Mission: The mission of ALPA is to promote and champion all aspects of aviation safety throughout all segments of the aviation community; to represent, in both specific and general respects, the collective interests of all pilots in commercial aviation; to assist in collective bargaining activities on behalf of all pilots represented by the association; to promote the health and welfare of the members of the association before all governmental agencies; to be a strong, forceful advocate of the airline piloting profession, through all forms of media, and with the public at large; and to be the ultimate guardian and defender of the rights and privileges of the professional pilots who are members of the association. Current Leadership of Union: Capt. Joe DePete is the 11th president of ALPA and was elected in 2018. Since joining the association in 1986, he has held several key positions, most recently as first vice president and national safety coordinator. Capt. Bob Fox serves as ALPA’s first vice president, Capt. Bill Couette is the organization’s vice president–administration/secretary and Capt. Joseph Genovese is the vice president–finance/treasurer. Current Number of Members: More than 61,000. 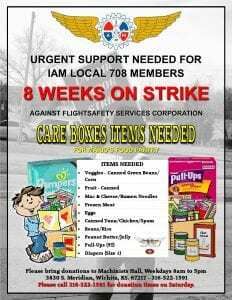 Members Work As: Airline pilots. Industries Represented: The airline industry in the United States and Canada; serving as the bargaining agent for pilot groups from 33 commercial airlines, including both passenger and cargo operations. History: As the 1920s concluded, life for airline pilots was difficult and dangerous, with many companies treating this employee group like an expendable commodity. Consequently, many airline pilots died in aircraft accidents during this period. In 1931, pilots in the United States came together to form the first professional union of pilots, ALPA, to promote aviation safety and give these flyers a greater voice in their workplace. During World War II, the union began advocating for the creation of an independent safety board (which would finally take shape in the 1960s, after decades of work). After the war, ALPA would band together with pilot unions from around the world to form the International Federation of Air Line Pilots’ Associations (IFALPA) to influence international travel and safety standards. With new technological advances in air transportation, ALPA created an air safety structure to fight for crew fatigue rules and rest requirements, along with other safety priorities. The association began working with aircraft manufacturers to improve cockpit features. In addition, the rise of terrorist attacks on aircraft represented a new safety concern for ALPA, identifying the need for greater security measures. The Airline Deregulation Act of 1978 would also change the landscape for the airline industry, reinventing the way airlines conducted business but also introducing a new wave of safety concerns. ALPA continued to fight to make the skies safer and achieved numerous victories (including securing mandated “fasten seatbelt” signs in aircraft cabins and policies such as a nationwide anti-skyjacking strategy, which was adopted by federal regulators). The 9/11 terrorist attacks revitalized the need to revisit security, and ALPA responded, successfully pushing for programs to provide more thorough screening of passengers and cargo. Decades of hard work on air safety concerns also paid off, as the total number of airline accidents in the United States and Canada dropped by more than 70% in the decade ending in 2007. These and other accomplishments in recent years have not diminished the union’s focus on safety and security, with top priorities including science-based fatigue rules for all airline pilots, improved pilot training and professionalism, and the safe integration of commercial space vehicles and remotely piloted aircraft (such as drones) into civil airspace. 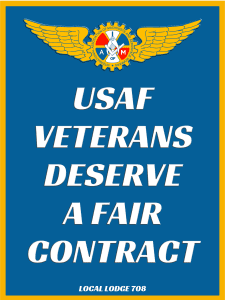 On the collective bargaining front, ALPA continues to promote a system of pattern bargaining to ensure that its members receive fair pay and benefits for the services they perform, safe and reasonable working conditions, and a better quality of life. 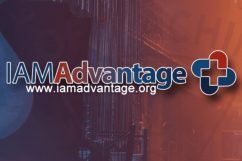 Current Campaigns: Known Crewmember helps improve the efficiency and effectiveness of security procedures for airline employees. Jumpseat works to establish guidelines and fairness in the use of airplane jumpseats. Cleared to Dream recruits new pilots into the industry. Trained for Life focuses on training and expertise in order to reduce airline-related death and injury. Community Efforts: Pilots for Pilots helps ALPA members and their families who have been harmed by natural disasters.